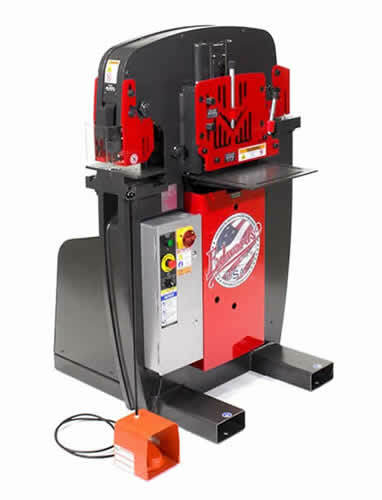 The 50 ton Edwards ironworker is a popular choice among fabrication shops. 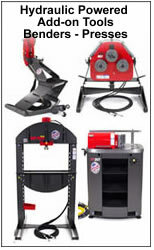 It delivers plenty of power being able to punch a 1 inch hole through 5/8 inch steel plate. The 50 ton unit also comes standard with a wide flat bar shear and an angle shear which can handle angles with 4 inch sides. A coper notch is also standard with this model. The 50 Ton Edwards ironworker has enough power for the factory installed option of the ** Powerlink System. ** The Edwards 50 Ton Ironworker will accept the Powerlink System (must be factory installed) The power pack allows the ironworker to power accessory tooling: 10 or 20 Ton Shop Press, 10 Ton Pipe/Tube Bender, Pipe -Tube & Section Radius Roller. 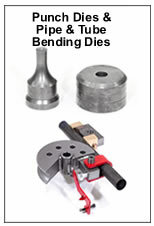 Coper Notcher - notch a piece off a plate, barstock or angle, this ironworker can notch a 2"x3"x5/16 inch thick.